Hello, Everyone! Creating an Email list is crucial because they can help you earn a few bucks if you have the perfect strategy. For example, if we have an email list of around 5000 and the commission of the product we are trying to sell is $70, Even if 50 people bought the product from our affiliate link, we would earn $3500 just from the list, which is great! And you can do it anytime. If you are not aware about Affiliate marketing then you can read our guide on what is affiliate marketing and how it work. Note: You need to be very creative with your theme and describe the product in detail. 2. Notifying them about a new post on your blog – You can notify them that there is a new post available on my blog via an email list. If you have an email of a person, then it is sure that they might have come to your article and subscribed to you and that is the reason they will open the link! It can somehow initially boost rankings and give some social shares. If your blog has some affiliate products or advertisements, then you may end up earning a few bucks! 3. Selling Your Email List – Well, You can even sell your email list to a buyer which you may find in a Buy and Sell Facebook Group or by other means. 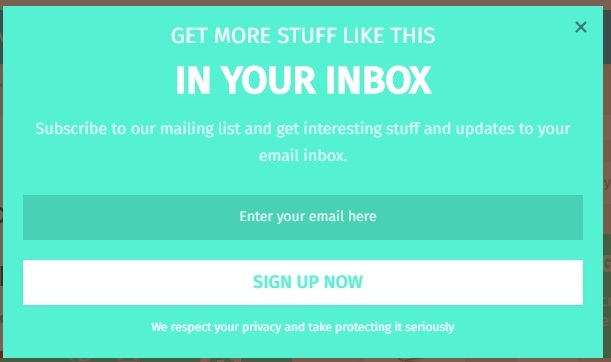 So, Guys, Theses were the reasons which forced me to build my email list but sadly there are many still many people which don’t consider an email list necessary. I have found the top 3 email listtools which helped me to stretch my email list from 500 to 2542 in just a month. Guys, Let me be clear that these tools worked with me, but I can’t guarantee that they will work the way they did with me or not! Everything is on your creativity and on how do you convince the visitor to subscribe to your mailing list. It has some features like Email Templates, Email Designer, Email Beamer and allows multi-user account. It helps you manage Custom Forms, Subscriber Profiles, and Segmentation and groups. Mailchimp provides analytics like A/B Testing, Reports, and even Comparative reports! 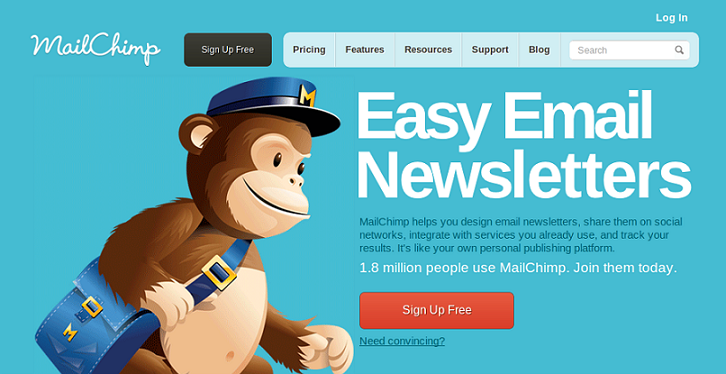 Guys, these are only the key features of MailChimp, It provides a lot of other impressive features and tools as well. MailChimp is a free tool, but you need to pay for PRO Packages which allows the user to get some more great features and tools which are worth the purchase. MailChimp allows only 2000 subscribers and 12000 emails in the free package, but there are certain PRO Packages which has some more or unlimited limit. Now, let’s have a look at the pricing of MailChimp! There are many packages available for MailChimp’s user, and it is up to you that what package you need! The First Package is The Starter Package which is Free Forever and has a limit of 2,000 Subscribers and 12,000 Emails per Month which is excellent for the people who are starting up their new blogs or websites. The Second Package is the Growing Business plan which offers various features like Automatic Emails, Database Connectivity, Message Targeting and various other features which are very Cool and useful. You need to pay an extra amount to increase the number of subscribers as in this case also, the subscriber limit is set to 2000 only. The cost for this package is only $25 per month. The Third Package is the Pro Marketer Package which provides a lot of new and useful features to the consumer like Track and Targeting data, Monitoring metrics with comparative reports and powerful and flexible automation. This Packages costs $199.00 and if you want to increase the limit of your subscribers then you need to buy an extra add-on. The Fourth Package is the High Volume Sender package. It has many features and has features like Mandrill and it costs for $240 only. This is another great Plugin which I use to gather Emails of my daily visitors because it is classy and clean. This Plugin offers Pop ups and sidebar mail collecting but the pop ups somehow are not too attractive and that is the reason I use it only for the sidebars. Results in Improved Engagement with Users and More Traffic. Supports HTML as well as WordPress. Supports Feed burner and Aweber as well. Less Customizability but still a Cool Plugin for email marketing and making email lists. Now, we have reached till the number 1 tool for building an email list. 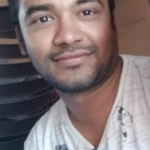 This is my personal favorite tool, and as I said my email list boosted from around 500 to 2542 in just 30 Days with the same amount of traffic as before! The Tool which made my email list increase up is The OptinMonster Plugin. This is the Ultimate tool which made my email list boost up. This is my favourite tool and will be. The OptinMonster Plugin comes packed with some cool and advanced features. It has so many customizable options that the visitor would be greedy to enter his or her email in the subscriber box. The best thing about this plugin is that it is easy to set up and easy to customize. The Optinmonster plugin offers a wide variety of themes and other tools which will make the subscriber box look so attractive that the visitor might end up subscribing. Although, This is a paid tool and costs only $19 which is around 1200 INR for one month only which is a great deal in my opinion. I would suggest everyone go for this plugin because you won’t regret and that’s my guarantee. So Guys, These were my top 3 tools to give a boost to your email lists. I would suggest everyone to try them and get their hands dirty understanding them because it will benefit you only guys 🙂 If you have any doubt or any query then feel free to comment down below as we love to hear from our readers. Please Don’t forget to share this article with your friends because sharing is caring guys! Thank You For Reading the Whole Article as it gives joy to me.